14th October 2013, Singapore – As photographers, we take pleasure in shooting things revolving our life while finding new perspectives to everyday items. Food is one such favourite subject. I am sure you have seen tons of food photos shared on social media platforms, and I am very certain that you have friends that shot their every meal like a ritual before even consuming them. Never mind if the food turns lukewarm, these friends will tell you, “shoot first, eat later” – sounds familiar to you? Recently, I came to know a few photography students of mine who loves to shoot delicious looking cakes & pastries. They will buy cakes & pastries and gather at someone’s home, then set up lights and shoot whatever they had bought. And after they have gotten their shots, they threw everything away. I was pretty shocked when I came to know about this. I questioned if there is the need to waste food for the sake of photography, then the students (mostly females) shared with me that they are watching their weight. I am totally lost for words. 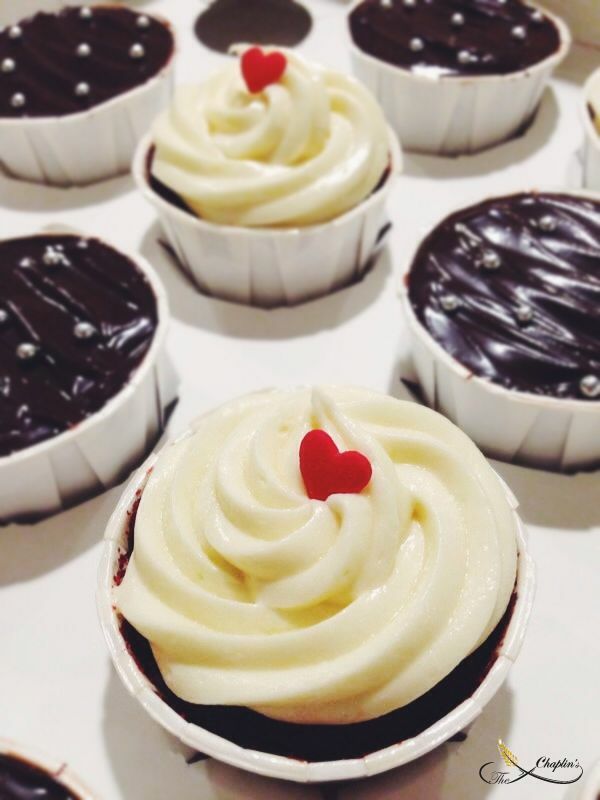 Now, how about able to shoot some really delicious treats and you can indulge healthily without guilt after shooting? I came to know about The Chaplin’s recently through my peers. I was at a function, and the host offered me a slice of banana cake. On first look, the slice of banana cake looks like an ordinary banana cake and without much thought, I took a bite and I was totally mesmerized by it. 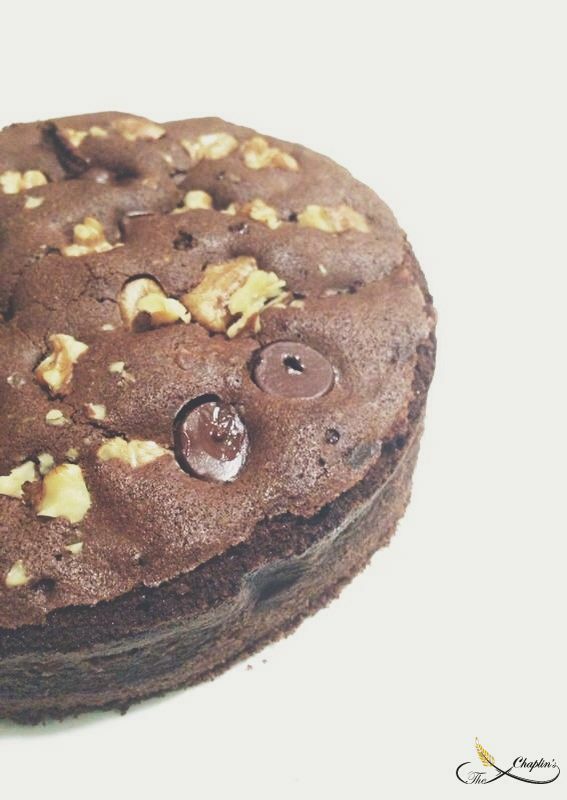 The tasty texture, the moist balance and the fragrance seems to explode in my mouth. This little slice of delight is simply perfect. I can’t seem to have enough and before I knew it, I had down 3 slices within minutes. Photo: Sweet Potato Pandan Cake. A True Evolution of Tradition Meets Fusion. This got me curious, I decided to check out the other offerings by The Chaplin’s and I found out that they bake a variety of cakes. I am not exactly a fan of fusion-evolved food but I decided to try out their Sweet Potato Panda Cake. I like pandan cakes & I love sweet potato, but having these 2 together seems odd as I prefer my sweet potato to be swimming in a sugary clear broth. When the cake gets delivered, I decided to slice up the cake and took a few shots. 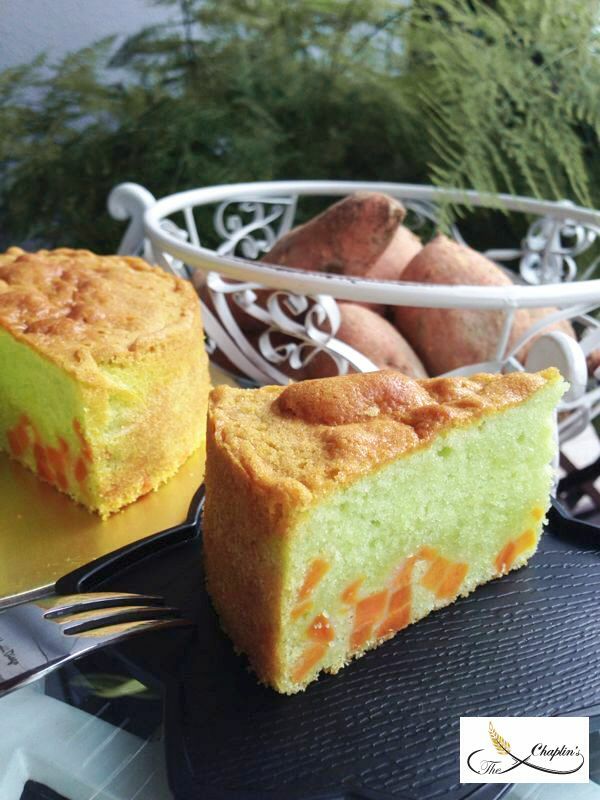 The contrasting colours of pandan green against bits of orange-colored sweet potato with a nice browny outer soft crust seems like a perfect cake to shoot. And the taste? All I can say is, the Chef had found the perfect balance of having the sweet potato “embedded” in a nice pandan chiffon that surprises the pickiest of taste buds. Yes you heard me, every bite is a surprise. I later found out that The Chaplin’s cakes are healthy treats as they do not use preservatives & they watch the sugar level closely to create delicious healthy cakes. I am a photographer & tech reviewer, not a food journalist so do not expect a professional food review on The Chaplin’s from me. However, I would like to share that your next food photography session can now be more meaningful with cakes from The Chaplin’s and there is no need to throw the cakes away after shooting, you can eat it and you will enjoy it. Ordering details are found below. 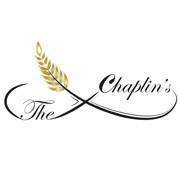 The Chaplin’s aims to be the choice bakery for high quality cakes & pastries – baked with sincerity for everyone. 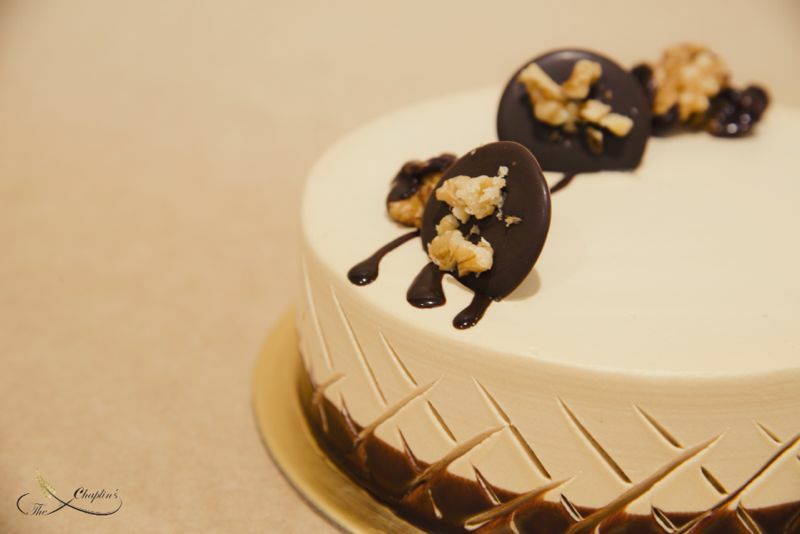 Providing choices like traditional favorites like Almond Banana Bread (Banana Cake as the west calls it) or the highly popular Sweet Potato Pandan Cake, The Chaplin’s offers an array of superb cake choices for every occasion to customized cakes (on request). As a young bakery, the Pastry Chefs at The Chaplin’s promises consistancy for every product on the menu while maintaining the strictest quality control, this is a promise. The Chaplin’s cater supplies to events like parties, celebrations, weddings etc and is also available to supply to restaurants & cafes. This entry was posted in Non Photography, Photography Articles & Videos, Uncategorized. Bookmark the permalink.